New ish from the coolest whiteboy you dont know. LRG model, Part of the Living Legends crew and one half of GnE aka Grouch n Eligh. This is a great LP. Conscious, smart, mature and introspective. 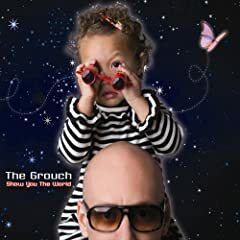 Ive never been the biggest grouch fan, except for the Clean Nikes song; but he came a long way with this one. Something about having his babygirl maybe put him on the perfect mix of intelligent hyphy, laidback, socialist rap. A great album to rock drinking a Tecate taking a long drag on a cool sunny day on a rooftop in the Mission. Im thinking it doesnt get any better than that. Definitely go and buy this one. Listen to this on a rooftop and marinate.